Later on, I decided to take a step further with the GraphCAD society and help engineering students improve their skills in key pieces of engineering software such as Solidworks and MATLAB. As the saying goes: Practise makes perfect and practise in software is something that often many students lack. This meant that when it came to doing projects, many struggled to apply their knowledge. I guess this was a problem that other students recognised too and I am so happy that other SELA students are also contributing their experiences to help lead and support peer learning. The experience gave me a chance to become less shy and practise my communication skills. Teaching software is one of the hardest things I have done as it usually requires students to follow along in real time. Teachers must be able to assess the problems faced by students and resolve them quickly. This makes for a very interactive process involving speed, precision, high level of knowledge and excellent communication. This really tested some of the core SELA attributes such as technical ability, flexibility and inspiration to motivate students never to give up! A few years on, I am a PhD researcher also helping to lead hands-on learning experiences for students. 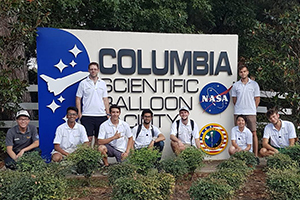 Since practise is so important in Engineering, I took the chance to setup these projects combining my passion for Space and giving students from different disciplines more chances to work together. Leading such projects was no easy feat and at times, I seriously doubted my own ability to juggle between emotional management, deadlines and cost. Understanding the three triangles of project management (time, cost and resources) was the first step and my development as a SELA student made me more self-aware, improving my judgement and ability to respond strategically to opportunities. 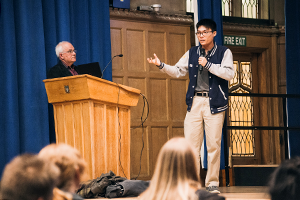 I am delighted that more than 100 students have had the chance to work on hands-on projects within the Sheffield Space Initiative and I hope that we can continue interacting with industry giants such as NASA and ESA to enhance the student learning experience and prepare for professional life by making an impact in real science and engineering solutions. For those reading who are student leaders, do not think too badly of yourself when you fail. Let’s learn from our mistakes, apply better project management techniques and balance the emotional state of the team. Above all, remember why you are doing what you are doing and the impact you have on the people around you. It maybe unspoken, but I am sure your efforts are truly appreciated by those around you. Truly inspirational and thank you for wise advice.